The New Hampton softball team took on Waverly-Shell Rock on the road Monday night. Waverly jumped out to a four to nothing lead in the first inning and would only build on that lead. The score after six innings would be eight to four in favor of Waverly. The Chickasaws would mount a comeback in the seventh by scoring four runs, but their efforts fell short as they lost this game, eight to four. The Chickasaws lose the game and fall to six and six on the season. Their next game is against Dunkerton in New Hampton. Nashua-Plainfield and North Butler had a showdown on the softball diamond on Monday night at the Husky’s home field. Hits didn’t come easily for the Huskies in this game as they only managed to scratch three onto the score card. Toyia Griffin had two hits while Libby Fisher had one. The Bearcats were able to control this game the whole way as they would lead nine to one after four innings. Four more runs in the top of the fifth put the ten run rule into play as the Huskies lose to the Bearcats 13 to one. For North Butler, leadoff batter Kayla Siemens had a perfect day at the plate going three for three with two walks, one stolen base, and three RBIs. The Bearcats improve to seven and two and will host West Fork on Wednesday night. The Huskies still are winless on the year and will play at West Fork on Friday. The Husky’s baseball team hosted North Butler on Monday, and like the softball game, the Bearcats had no problems on this night. This game went scoreless after two innings, but in the top of the third and fourth, North Butler struck for one run. The score was two to nothing in favor of the Bearcats after five innings. Then the wheels fell off of the bus for Nashua-Plainfield as the Huskies would allow eight base runners to cross home plate in the top of the sixth. The home team was able to push this one to seven innings, but it would result in a Nashua-Plainfield loss. The Husky’s starting pitcher, Levi Enright, gave up six runs in the game but only one of those being earned. Mason Hyde scored the only run in the contest for Nashua. The Huskies will play at West Fork this Friday night. North Butler crawls back to the .500 mark and plays West Fork on Wednesday. The Turkey Valley Trojans softball team continued their rough season on Monday with a doubleheader loss to Central Elkader. Game one would only last six innings as the Trojans would get ten run ruled, 13 to three. Game two would go the full seven innings but would still result in a loss for Turkey Valley. The Trojans tack on two more losses onto their record and will now not play until Thursday night when they host Crestwood. 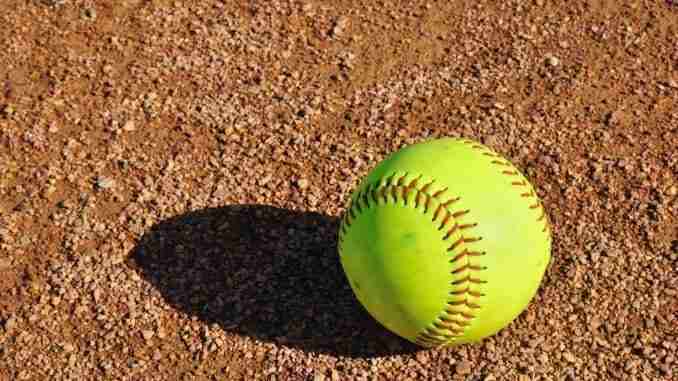 Sumner-Fredericksburg took Jesup on for a game on the softball diamond on Monday evening. The Cougars would jump out to an early lead by scoring three runs in the top of the first. Jesup would late tie it up in the third inning and later take the lead by scoring three more runs in the fifth. Going into the seventh inning, the score was six to five in favor of Jesup. A five run top of the seventh would give the Cougars a four run lead, but they would let it slip away by allowing Jesup to cross home plate five times in the bottom of the inning to come away with the walk-off win. Sumner-Fredericksburg will take on Denver for a home game next. The Cougars baseball team took on Jesup as well last night in a doubleheader at Jesup. The first game would only last four innings as Sumner-Fredericksburg’s, Andrew Tisue, would take the loss in this four inning affair. Tisue would allow 13 runs and only strike out one batter. The Cougars couldn’t get their offense going either as Brett Meyer and Kolby Rich were the only batters to get hits in this game. The final score in game one was 13 to nothing. In game two, Sumner-Fredericksburg gave Jesup all they could handle as this would be a one run game. The Cougars scored four in the second inning to take a four to three lead. The Cougars would hold that lead until the bottom of the sixth when Jesup scored three runs to retake the lead. Sumner would score on in the seventh, but would fall just short, losing six to five. The Cougars remain winless on the season and won’t play until Thursday when they host Denver. The South Winneshiek softball team took on EdCo last night for a doubleheader. In game one, the Warriors would jump out to an early lead scoring five in the first inning. That is all they would need as EdCo only managed to score two runs in the game. This would be a six to two victory for the Warriors Taylor Buchheit would pitch seven innings, allow two runs, and strike out 10 EdCo batters. Christina Nesvik and Abby Hageman each had two hits in the game for South Winneshiek. Game two ended with the same score as game one, six to two. The Warriors scored two in the first inning, one in the third, and three in the fourth to secure the win. Buchheit got the start in this win as well. Taylor Numendahl had three hits in the game with two runs scored and an RBI. The Warriors will travel to Waukon on Tuesday night for their next game. The Warriors baseball team hosted EdCo on Monday night and came away with two more wins. Both teams would go back and forth with the lead in game one. The score would be three to two in favor of South Winneshiek, going into the top of the sixth. EdCo would take the lead then by scoring seven runs. The Warriors would use some late game heroics as they would score seven runs in the bottom of the seventh to come away with a 10 to nine, walk-off win. Cole Phillips had three hits and three RBIs in the game for the Warriors. Austin Tieskoetter would get the win, going two innings pitched and only allowing one hit. Game two would result in another walk-off win for the Warriors as they would strike for two runs in extra innings to come away with a five to four win. Hunter Todd and Rodney Schwartzhoff each had two RBIs in the game. South Winneshiek improves to seven and four on the season and will travel to Oelwein on Wednesday night for their next game.